CASP is a non-profit organization which works in a collaborative effort with the court systems in Missouri and throughout the United States to offer alternative sentencing programs to judges and prosecutors. When a person is assigned Community Service by a judiciary, CASP will work with them to help find placement which meets their needs for probation as well as family, work, school and faith responsibilities. This schedule is based upon the hours given by the client assigned community service. As a client of CASP, workers are not allowed to pick which non-profit agencies that they work for, but they are allowed to work the schedule that fits their situation and time available. Register for the program at 721 N Main, Springfield MO 65802. If living outside the southwest Missouri area, call 417-865-9460 for instructions. Registration must be within 5 business days of the judgment for community service orders. Pay the fee which is based upon the program to which they were assigned and number of hours to be served. Payments can be made in the form of cash or money orders. 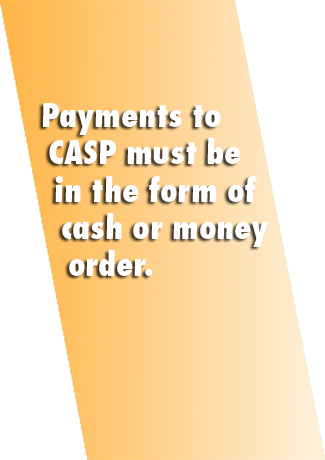 CASP will work with you to set up a fee payment plan as needed. Payments can be made, but the total fee must be paid before scheduling. 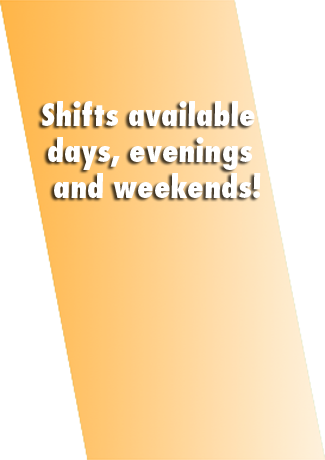 Schedule all hours through CASP and complete those hours as scheduled before the deadline given. Turn in the time card to CASP. 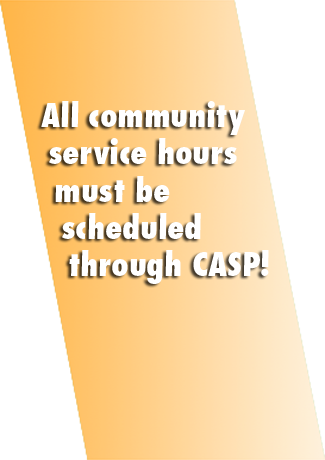 All community service hours MUST be scheduled through CASP. All agencies where work is completed must be approved by CASP PRIOR to the hours worked. Failure to follow this policy may result in no credit for hours worked being given. Work shall be completed on the days and hours agreed upon. If defendant fails to keep the schedule, he/she may fail the program. If the defendant fails to follow the schedule assigned by CASP, defendant shall owe and pay a rescheduling fee prior to being rescheduled. Maintain appropriate dress, attitude and work efficiently while performing community service work and will follow all terms or directives given by the agency to which they are assigned, including any non-smoking and safety policies. No use of cellular phone, iPod, pager, or other electronic device while performing community service. Notify CASP of any change in mailing or phone number within 48 hours. When the client has completed all of the hours, a form letter is sent to the court indicating successful completion the program. Likewise, if the client does not complete, a letter of failure is sent to the court. 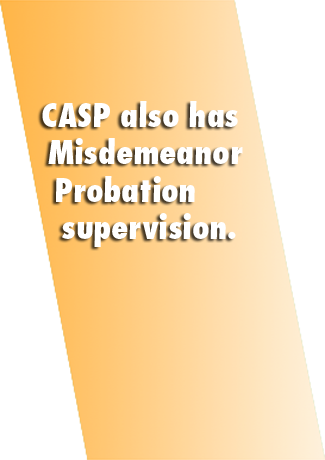 CASP is a non-profit organization, which assist you in complying with conditions of probation for community service, set forth by the court. The work assignments that CASP offers provide a positive alternative to jail and allow you to make a contribution to the community. CASP will place you in a work assignment with a non-profit or governmental agency, and establish a specific work schedule for you to follow to complete the hours assigned by the court. 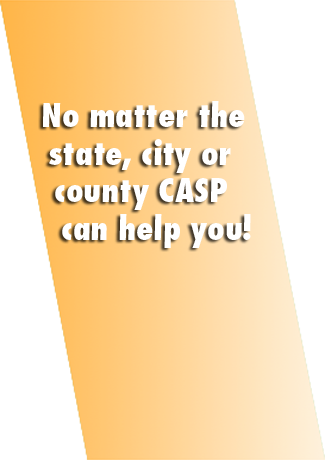 CASP will monitor your work and report to the court your success or failure to complete the program.